With the mobile industry beginning to plateau in terms of hardware, a number of companies seem to be turning to Virtual Reality (VR) in order to boost interest and to make their products seem more appealing. 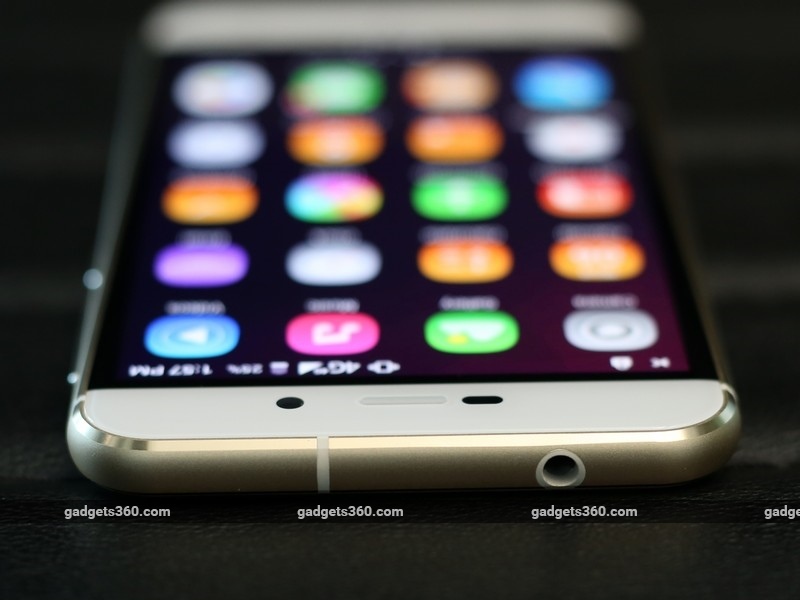 Lenovo was one of the first ones in India to offer a VR headset with Vibe K4 Note (Review). 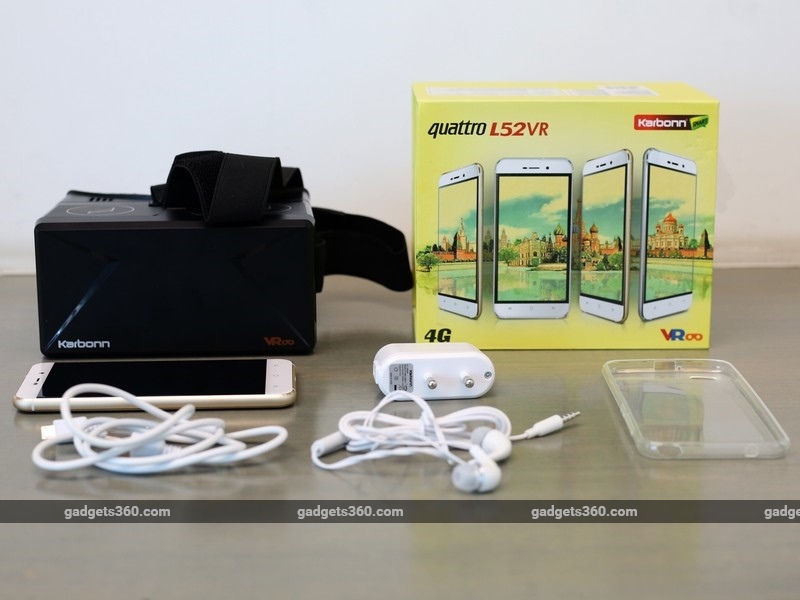 Today, we have Karbonn's attempt at getting the masses hooked with the Quattro L52 VR. Priced under Rs. 10,000, this smartphone comes bundled with its own VR headset and some preloaded content. Let's see if it's any good or if it's just another marketing tactic. The Quattro L52 VR has some good aesthetic attributes like its compact size, metal frame, and curved glass on the front, but other than this, the design is pretty ordinary. The 5-inch HD display has high levels of brightness although the colours are a bit jarring the first time you boot it up. Thankfully, this can be adjusted in the display settings menu. There are thick black borders around the display and a fair bit of bezel on the top and bottom too, which makes the phone larger than it could be. Despite this, it's quite manageable for single handed use. You get capacitive buttons at the bottom for navigation, which aren't backlit. A notification LED is also missing. The buttons on the side have good tactile feedback while the headphone and Micro-USB ports take their respective places at the top and bottom. 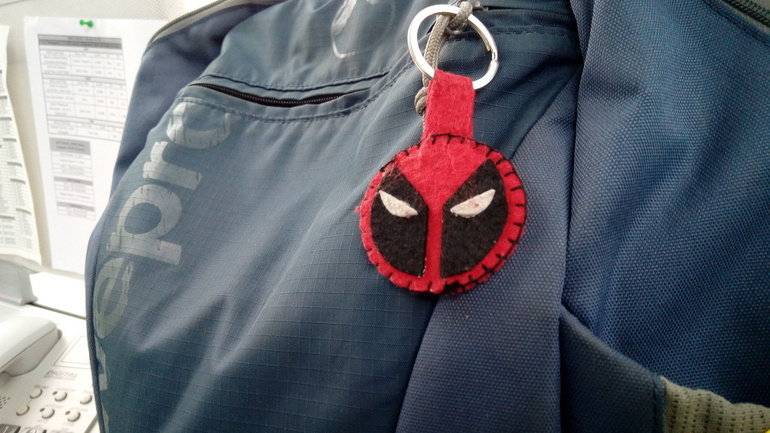 The back cover is plastic and is removable, but the material quality isn't great and it easily attracts scuffs from everyday use. Underneath, we have a removable 2250mAh battery and slots for the two SIM cards. The second SIM slot can accommodate a microSD card for storage expansion. You also get an 8-megapixel camera and a back-firing mono speaker. The Karbonn VR headset feels quite crude and poorly built, but it's a free accessory so we can't really complain much at this price. The headset is modelled around the Google Cardboard concept, except that it's built from plastic. There's a thin strip of foam around the edges which rest on your forehead and cheeks. There are circular bi-convex lenses for magnifying the display and the phone slips into the slot in the front. More on its performance in a bit. The L52 VR is reasonably sturdy thanks to its metal frame, but the aesthetics could have been better. Little touches like backlit navigation buttons and a notification LED would have been nice to have. In addition to the VR headset, you get earphones, a USB cable, a charger, a silicone case, and some instruction leaflets in the box. The Karbonn L52 VR is powered by a quad-core MediaTek MT6735P SoC, and has 2GB of RAM as well as 16GB of internal storage. The latter can be expanded by up to 32GB via a microSD card. You also get Bluetooth 4.0, Wi-Fi b/g/n, GPS, and FM radio. There's no NFC or USB OTG support. The phone also supports 4G on Indian LTE bands. Along with the basic sensors, a gyroscope is also present for using the phone with VR applications. Karbonn uses a highly customised version of Android Lollipop 5.1, which takes a bit of getting used to. It's a layout with an app drawer, but the icon style makes it hard to find what you're looking for at first. The leftmost capacitive button displays extra options in an app while the Recents function requires you to long-press the home button. There are a few additional features in the Settings app, most notably VR Calibration, which lets you recalibrate the gyroscope in case it doesn't work well. The Display menu lets you change themes but there are only three to choose from. There are a few experimental features hidden in the Accessibility menu, including colour inversion, which does exactly what it says, and colour correction. There's an option to enable Quick boot too, however it didn't seem to have any noticeable effect on boot times. 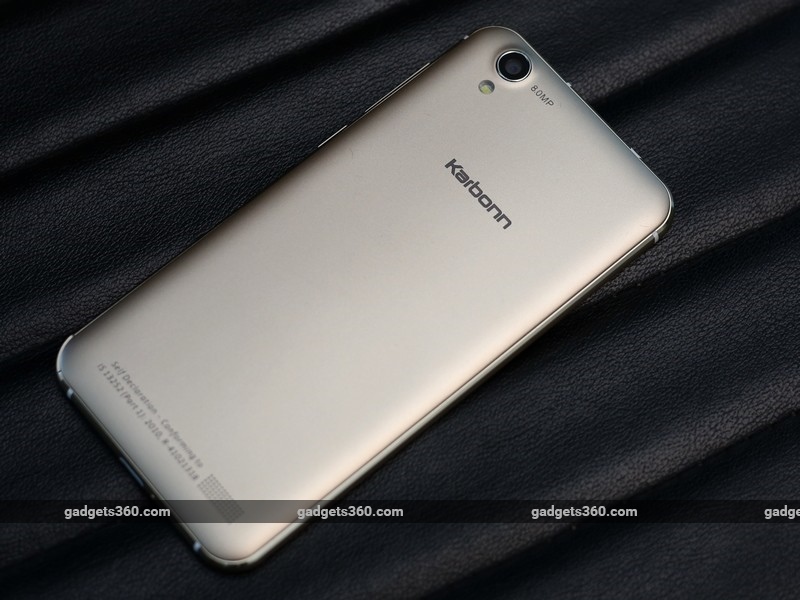 The L52 VR is loaded with apps from Karbonn and some third-party developers. 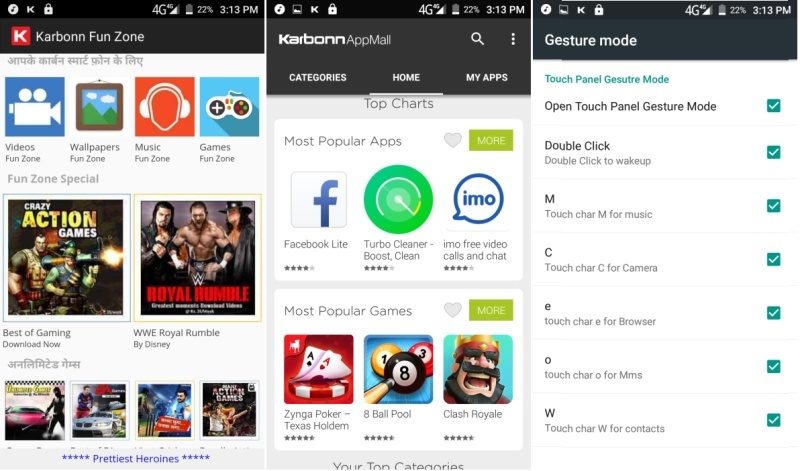 The Karbonn Zone folder lets you access Karbonn Klinic, which shows you service centres around your area; Karbonn Fun Zone lets you purchase Bollywood wallpapers, movies and music; Karbonn AppMall shows you a selection of popular apps on the Play Store sorted by category. In addition to these, there's Snap n Buy, which gives you fashion deals; Gesture mode, which lets you summon apps and functions by tracing letters on the screen; and many more familiar apps: Amazon, Clean Master, Truecaller, NewsHunt, Snapdeal, Flipkart, Saavn, and Paytm. You also get Asphalt Nitro and All Star Cricket. These third-party apps and game can be uninstalled. The main reason one would buy this phone is for the VR headset, and truth be told, the experience could have been better. The build of the headset itself doesn't inspire much confidence but it gets the job done. You slot the phone in the front, and it's held in place by two rubber suction cups. The lenses are not adjustable but that's okay since it's designed to work with this particular phone alone. The VR Centre app gives you a VR menu for diving into videos, games, 3D content, and a gallery. There are a few sample 360-degree videos and games to try out. The gallery picks up pictures you've taken with your camera and any videos you might have. 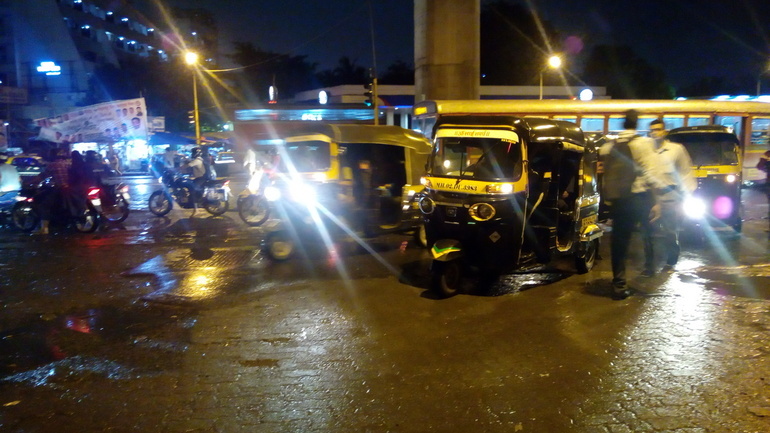 The app worked well for the first couple of days but later, we found ourselves have to constantly recalibrate the gyroscope to get it to work properly. The elastic straps of the headset also tended to rub against our ears, which got irritating after a short while. Due to the low resolution of the display, images and videos look highly pixelated so this isn't the best hardware for enjoying VR content. Also, since there's no way to adjust the lenses, certain third party Cardboard apps and games like Jaunt VR and Sisters appear blurry. There are two openings on either side of the headset, letting you access the phone's headphones and charging port. Overall, Karbonn's headset is good for VR games (however limited that selection may be at present) but not much else. As a smartphone, the L52 VR is fairly lightweight and doesn't heat up much in regular use. 4G works well and the rear speaker is decently loud for alerts. Audio gets muffled when the phone is placed on a flat surface. Touch response of the display is good, however the phone does get bogged down from time to time, whether it is switching between apps or simply accessing the certain settings. We got an AnTuTu score of 24,031 and just 8.4fps in GFXbench. 3D games work but not as they should, as loading times are also quite long. The phone handles 1080p video playback along with some of our high-bitrate test files, with ease. The L52 VR also offers audio enhancements for earphones and the speaker. The audio quality from the bundled headset is below average but this improves if you use a good pair of earphones. 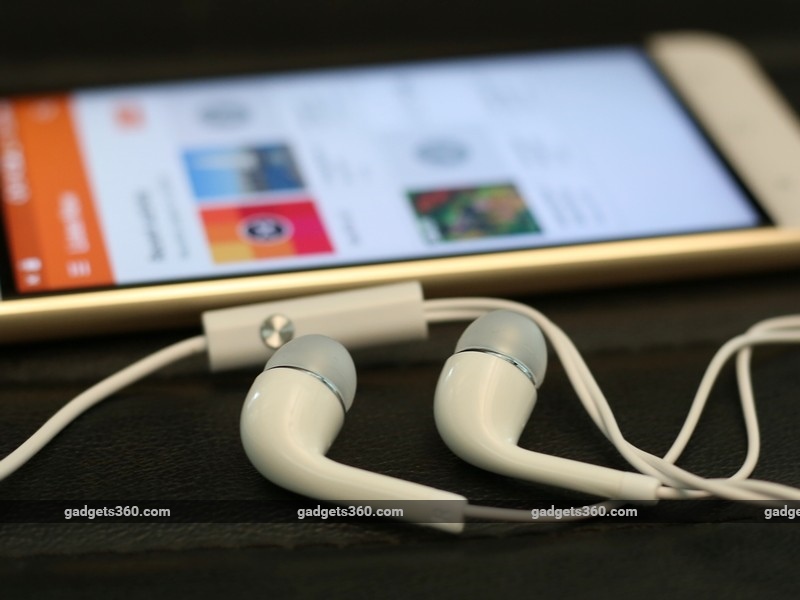 Music duties are handled by Google's Play Music app. The 8-megapixel primary camera is quite disappointing due to the slow focusing speed, shutter lag and sub-par image quality. 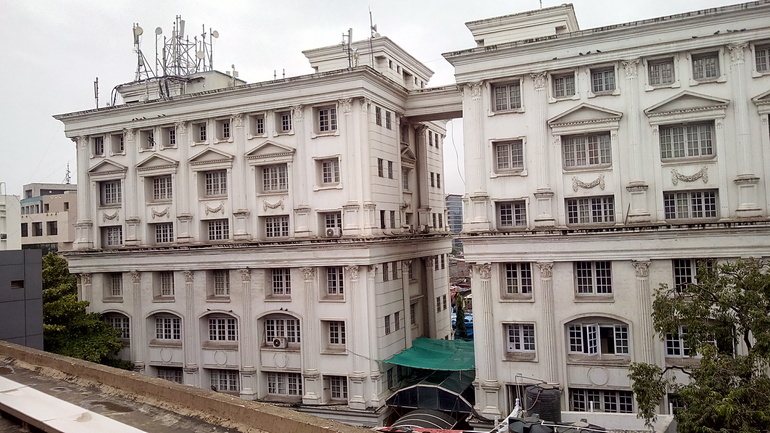 Most shots taken in daylight appear dull and lack sharpness. HDR mode helps liven up some of the details but the overall tone of the picture feels washed out. Video recording is limited to 720p and the quality is just about passable. The front 5-megapixel camera isn't the best tool for selfies either. The camera app is pretty basic. You have only the obvious shooting modes like panorama, beauty mode and gesture shot. The 2250mAh battery lasted 6 hours and 14 minutes in our video loop test, which is below average. Under regular use, we found ourselves having to charge it by the end of the day. The phone ships with a standard 5W charger so charging it all the way isn't the quickest. 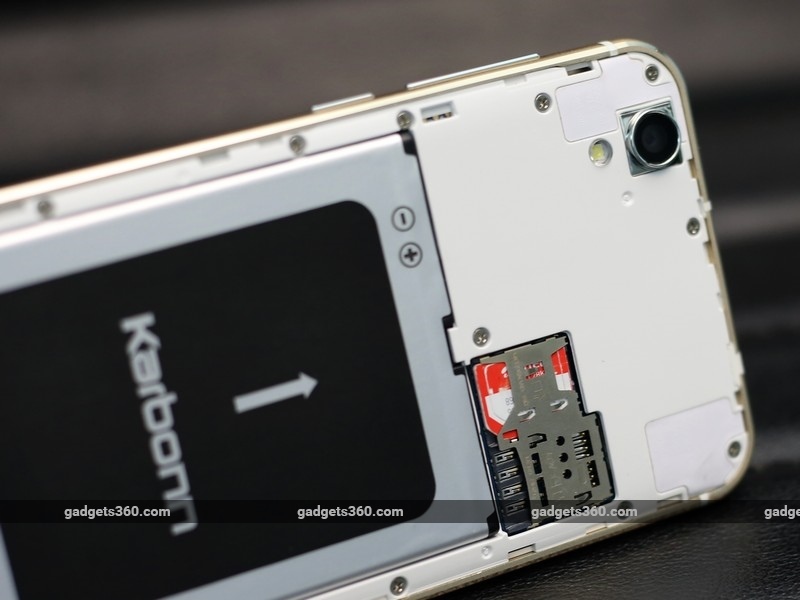 The Karbonn L52 VR is priced at Rs. 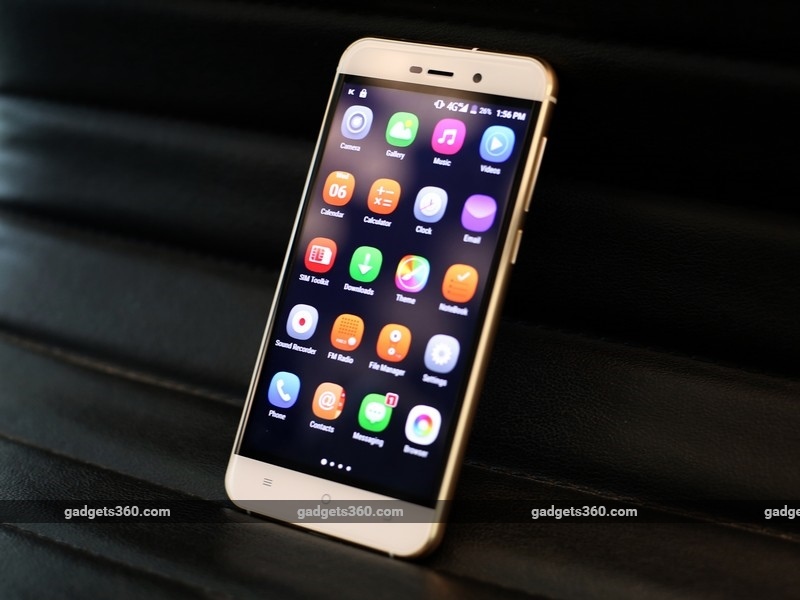 8,790 but sells for a little less online, but unfortunately that still doesn't turn out to be of much value when you can get something like the Lenovo Vibe K5 Plus (Review) at roughly the same price. In addition to being a better all-rounder, Lenovo's offering also supports its own TheatreMax VR technology, which is a much better experience. Karbonn's VR headset isn't anything to shout about, so you're better off spending a bit more and buying a better headset separately. The L52 VR has some good points like its metal frame, bright and responsive display, and fairly comfortable size, but that's pretty much it. The overall performance is quite underwhelming; the camera is sub-par and battery life is weak. We're also missing some basic features like backlit navigation buttons. To sum it up, if you're looking to dive into VR without spending too much, then we suggest sticking to a phone with at least a full-HD resolution for a better experience. Also, it would be a good idea to spend a bit more and pick up a decent VR headset like Lenovo's AntVR. 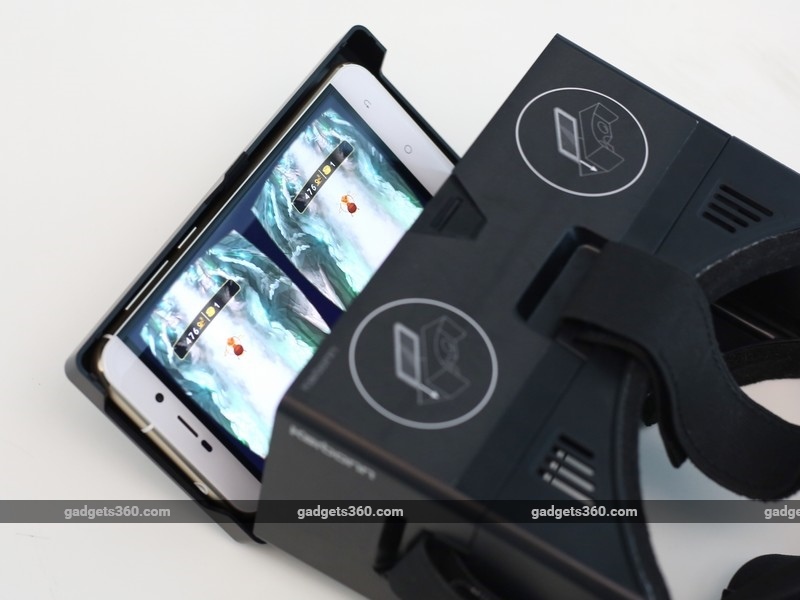 product The Karbonn Quattro L52 VR wants to be the virtual reality phone for everyone, but misses the mark on many counts.